The Chinese manufacturer, Bluboo has come up with a smart phone called Bluboo Xfire 2. 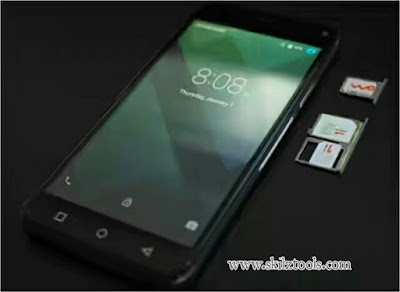 This smart phone set to be the first 5 inch phone that comes with a three sim card slot. Out of these three SIM card slots, two slots are nano SIM slots, and the remaining one slot can house a micro SIM card. The third sim card slot can be used as a memory cary slot. The smart phone runs on a MediaTek quad-core MT6580 processor that is clocked at 1.3GHz and is supported with 1GB of RAM and Mali-400MP GPU. The triple sim phone has a led flash light at the front to enhance the selfie pics. The camera specifications are not yet revealed but we are expecting a 8mp rear camera and 5amp front camera. If we closely look at the leaked pic, the phone is running on an Android Marshmallow. Imaginen using three sims on one phone,one sim for calls, the other for browsing and the third one for SMS. One of the added selling point is that it comes with a fingerprint sensor.